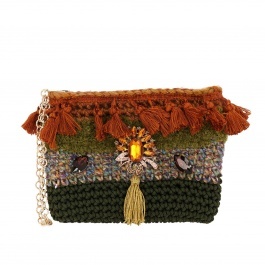 Lia’s bag is a famous brand thanks to its original jewel crocheted bags. The skillful mix of fabrics and the craftsmanship make these colorful and detailed bags unique. A Lia's bag represents an original and eye-catching accessory that gives a special touch to any outfit. Browse our selection of Lia's bags online at Giglio.com and don't forget that the shipping is free.